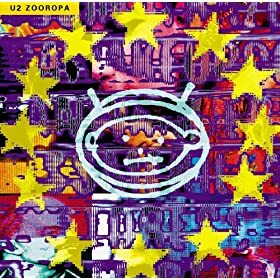 With U2’s eighth studio album celebrating its 21st anniversary, I still recall getting caught up in the premature foofaraw surrounding Zooropa upon its initial release in 1993. The throngs hungrily tried to over analyze and dissect the latest release from Ireland’s renowned rock band. Although Zooropa was originally intended to be an EP recorded during a six-month break during the third and fourth legs of the band’s monumental Zoo TV Tour, it eventually morphed into a full-length album. The band immediately hit the recording studio to try and capture the moment fresh from playing sold-out arenas in North America. Delving even deeper into the alternative rock and electronic sounds hinted at on Achtung Baby, Zooropa may have failed to produce massive radio hits (although I remember the “Lemon” and “Numb” videos being in heavy rotation on MTV), but the Grammy-winning effort is still regarded as a highly creative and experimental entry into U2’s varied discography. Bono and company, along with the help of Flood and Brian Eno, managed to explore new musical territory with the six-and-a-half-minute opening title track, the robotic rapping of “Numb,” the falsetto soaked “Lemon,” and the compellingly offbeat “The Wanderer,” with guest vocals by Johnny Cash. Add the more signature stylings of “The First Time” and “Stay (Faraway, So Close! )” to the set’s unusually diverse track list, and the result is an oddly satisfying listening experience that still captivates with its infectious grooves. Although Zooropa received mixed reviews upon its release, there’s no denying it has made a lasting impact among U2 devotees. I remember my first reaction was a combination of excitement and surprise upon its arrival, but over the years I’ve found myself reveling in its inventiveness with incessant appreciation. As far as its legacy, Zooropa managed to sit atop the charts in 10 countries, sell over seven million copies, and has been touted as one of the all-time best albums of the nineties. Not bad for what started out as just an experimental EP.